Australian airlines barred the recalled Samsung Note 7 from all planes from Sunday citing its “potential fire risk”, after a similar ban was imposed by US officials. 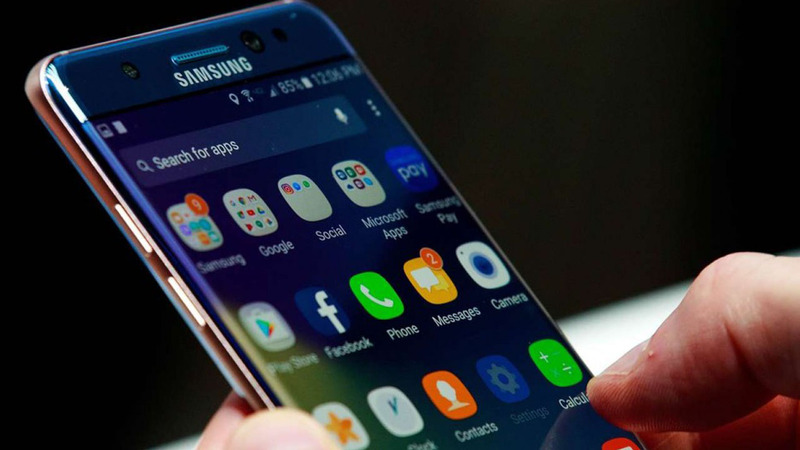 Samsung, the world’s largest smartphone maker, has halted production of its latest flagship mobile device and recalled all Note 7 phones and replacements in the wake of reports of exploding batteries and fires. “(The ban) is due to concerns regarding potential fire risk from the device’s battery after a number of incidents worldwide and follows a ban put in place by regulators overseas,” Qantas and its discount carrier Jetstar said in a statement late Saturday. Virgin Australia and Tigerair Australia issued similar announcements. Virgin added that passengers were “strongly advised” not to bring the Note 7 phone to airports. The Australian carriers previously told customers not to use or charge the smartphone if they were carrying it onboard flights, after Samsung’s initial recall of the “phablet” last month. US officials said Friday all Note 7s were barred from airplanes and anyone attempting to travel with the recalled handsets may face fines and have the devices confiscated. The Note 7 crisis is set to cost the South Korean electronics giant billions in lost profits, and is a blow to a firm that prides itself on the quality production of cutting-edge technology.